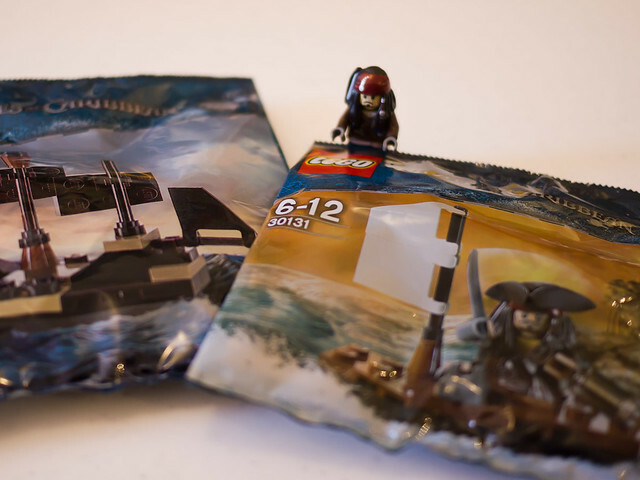 LEGO polybags Captain Jack Sparrow’s boat (30131) and Mini Black Pearl (30130) were recently available for free with The Sun newspaper in the UK. I managed to pick up my own via eBay from UK sellers. Yes, I paid more than the cost of a newspaper, but I’m glad I bought them when I did – the eBay Buy It Now/auction and Bricklink prices all seem to have gone up significantly since. 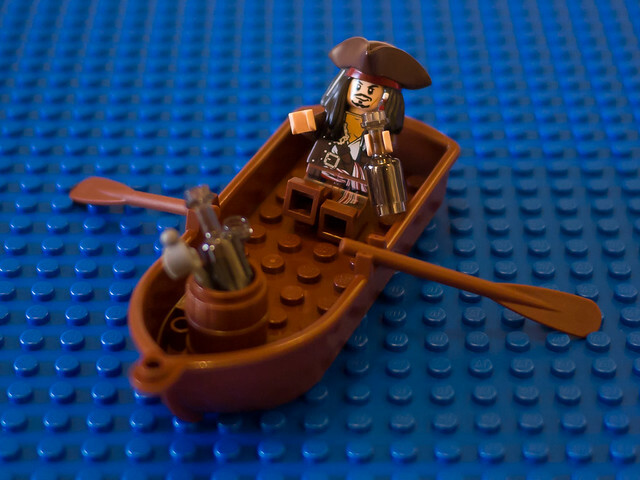 Captain Jack Sparrow’s boat includes a Jack Sparrow minifig with tricorne hat, sword and a bottle of rum. 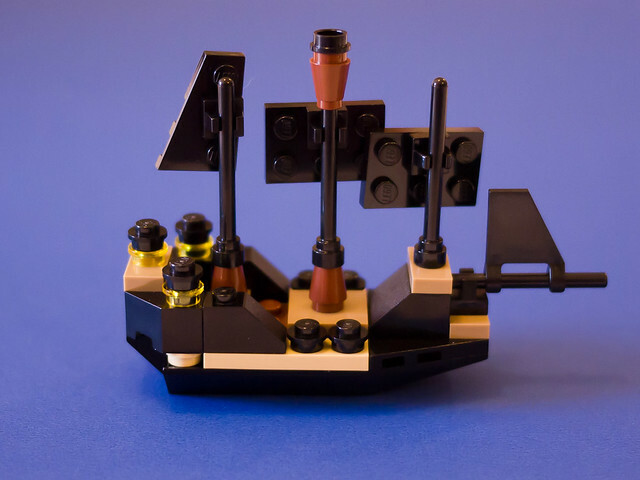 The mini Black Pearl is a cute micro version of a much anticipated upcoming LEGO ship – I’ve heard the full-sized Black Pearl set will be released in November this year. I like the simple yet detailed design of this little ship, but it’s too small for a minifig to pose/perch on it. Another Pirates of the Caribbean polybag is the Voodoo Jack minifig (30132). If you’ve played the video game, is it any good? Rather than fork out for a video game I probably won’t have time to play (our Wii has been much neglected lately – I struggle each week to find time for LEGO, let alone sitting in front of the telly to play video games), I got my Voodoo Jack via eBay. Here’s Voodoo Jack sitting in Captain Jack Sparrow’s boat. LEGO fans who live in the US can now buy Voodoo Jack for US$2.99 on Amazon without the purchase of a video game (limited to one minifig per order). Sadly, Amazon doesn’t deliver toys, including LEGO, to Australia. 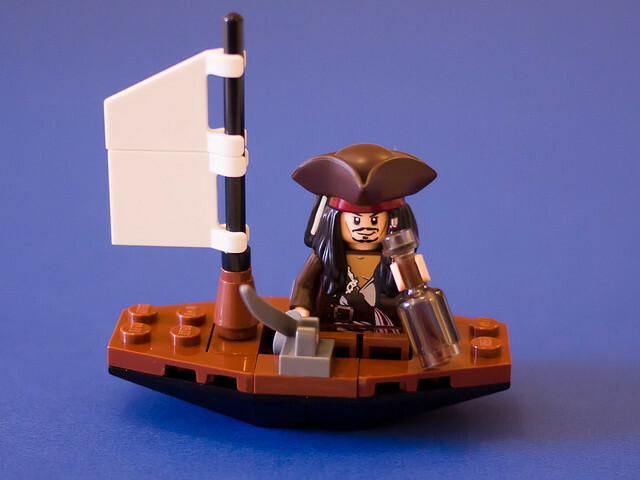 This entry was posted in Adventures of Captain Jack Sparrow, Sets and tagged jack sparrow, minifig, pirates, pirates of the caribbean, polybags, sets, ship, video game, voodoo jack on 17 June, 2011 by The LEGO woman. And so just like that, the attack was averted. 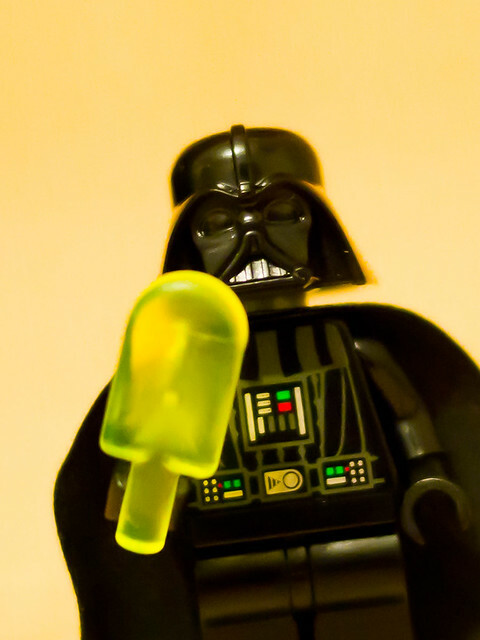 With popsicles. 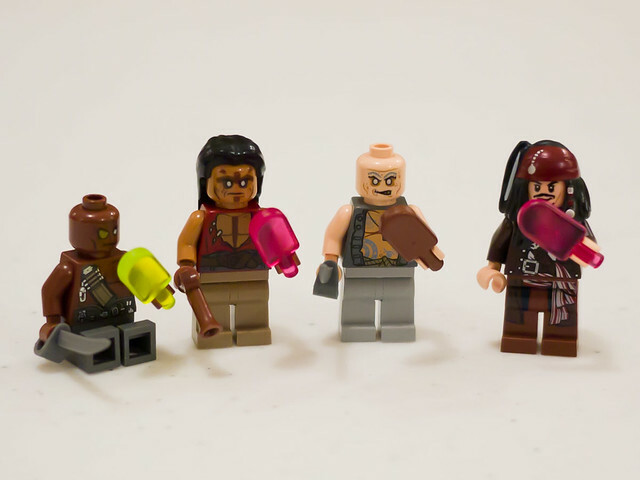 Captain Jack Sparrow successfully distracts the zombie pirates with popsicles. But what will he do when they have all been eaten? Think, Jack! 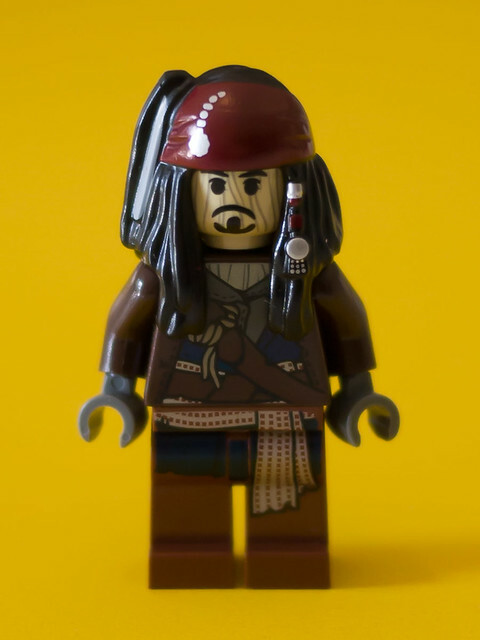 This entry was posted in Adventures of Captain Jack Sparrow, Humour and tagged humour, jack sparrow, minifig, movies, pirates, zombie on 3 June, 2011 by The LEGO woman. 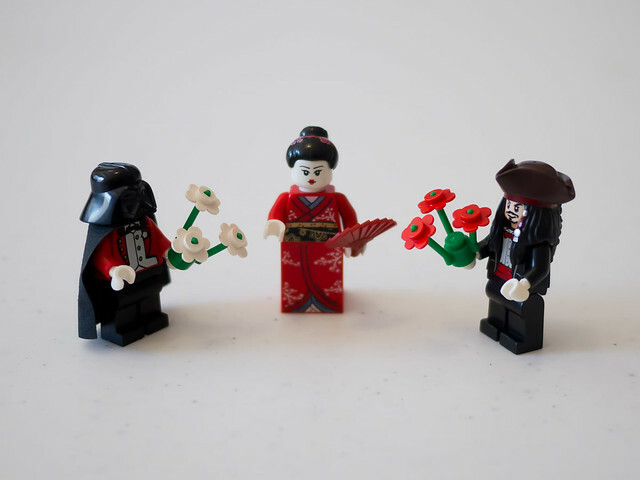 This entry was posted in Adventures of Captain Jack Sparrow, Humour, Vader and tagged Darth Vader, humour, jack sparrow, kimono girl, minifig, pirate, Star Wars on 3 June, 2011 by The LEGO woman. When the clock ticked over to 6pm on Saturday, 21 May 2011, we were all doing what we loved most – Jac was in the kitchen cooking while watching the Country Music Channel on TV, I was working on my blog at my computer eating IKEA Swedish meatballs with cream gravy and boiled potatoes tossed in dill sauce, and LEGO Captain Jack Sparrow was floating in his boat enjoying his “last” rum. What were you doing at the time of The Rapture? 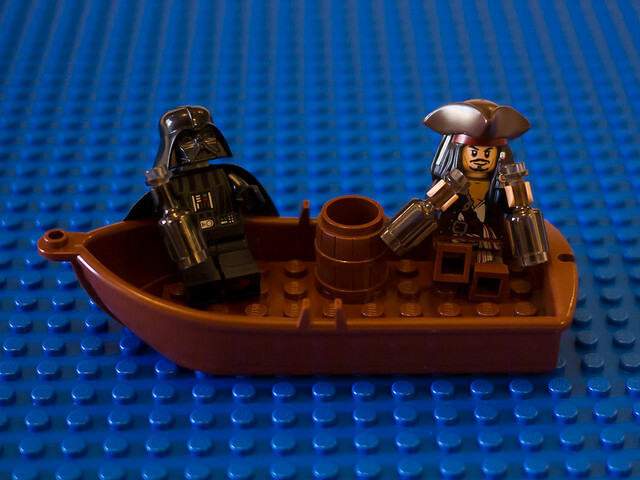 This entry was posted in Adventures of Captain Jack Sparrow, Humour and tagged humour, jack sparrow, movies, pirate on 3 June, 2011 by The LEGO woman. 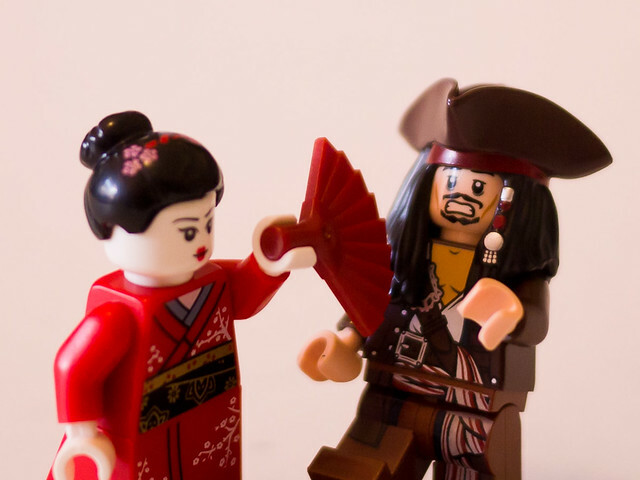 Yet another woman slaps Captain Jack Sparrow. I’ve read mediocre and bad reviews of Pirates of the Caribbean 4 – On Stranger Tides but am still keen to see it. I don’t go to the movies very often – just get busy and find it hard to get organised to go. I missed the last Twilight and Harry Potter movies and had to wait for them to come out on DVD. 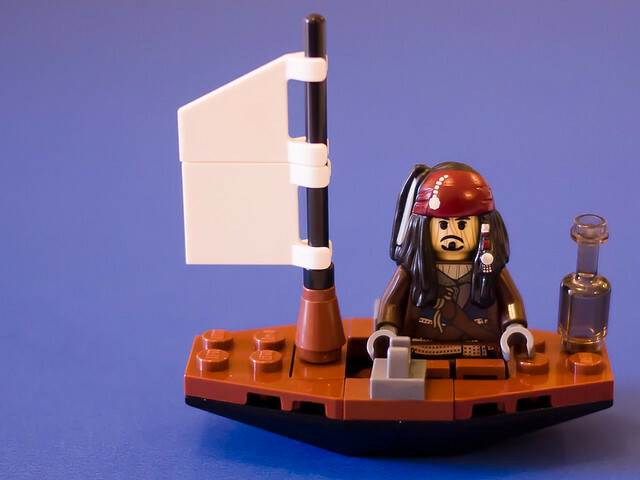 This entry was posted in Adventures of Captain Jack Sparrow, Humour and tagged humour, jack sparrow, kimono girl, minifig, movies, pirate on 3 June, 2011 by The LEGO woman. 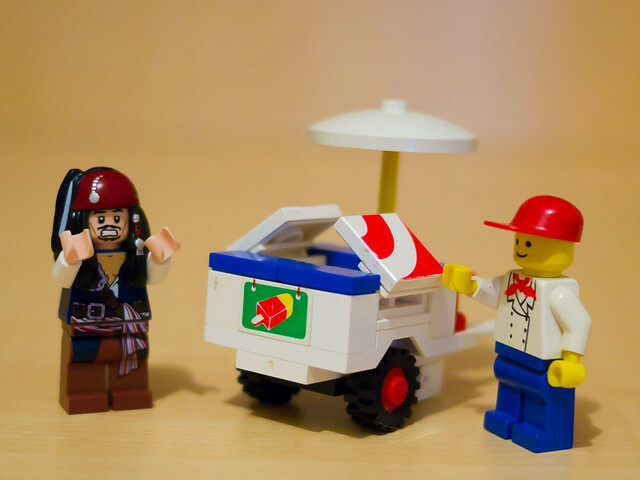 This entry was posted in Adventures of Captain Jack Sparrow, Humour and tagged by me, ice cream cart, jack sparrow, minifig, pirates on 2 June, 2011 by The LEGO woman.